Feel the tropical breeze and the sweet smells of plumeria on a bed of monstera leaves. 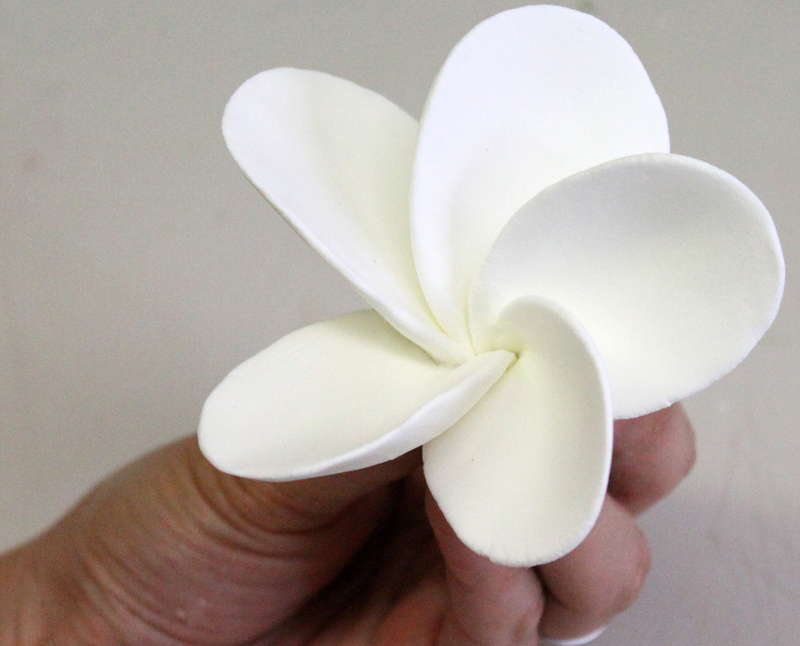 With a little practice you will be making plumeria and many other varieties of leaves. 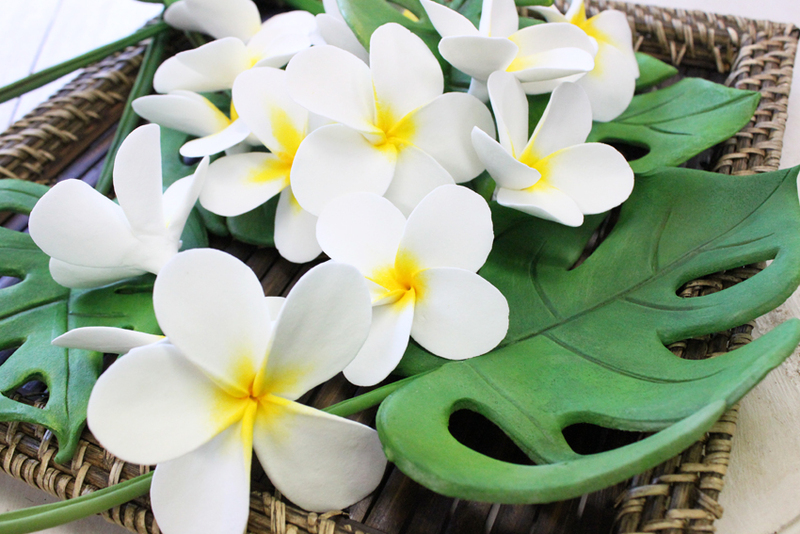 These plumeria can also be fashioned into a beautiful wearable lei or arranged to your heart’s desire. 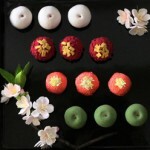 Roll out five 2cm (3/4”) balls of DECO Clay then make them into long teardrop shape. Use DECO Leaf Mold D to create petals. 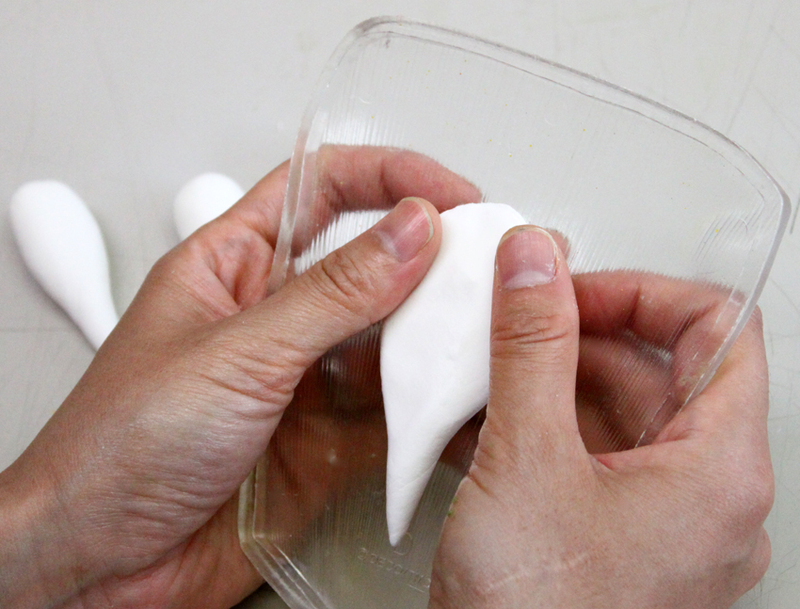 Use DECO Detail Stick to smooth the surface. The edges should be thin. 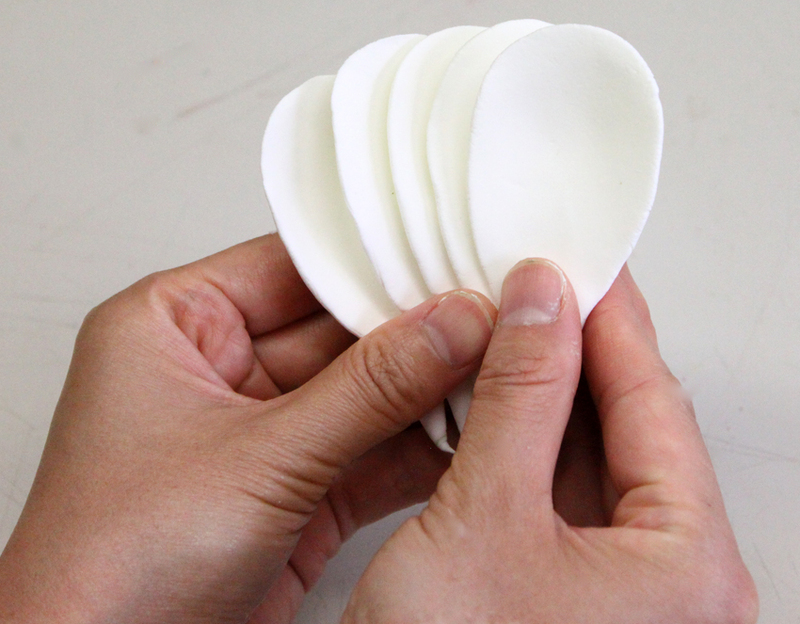 Hold the five petals side by side fan-wise. 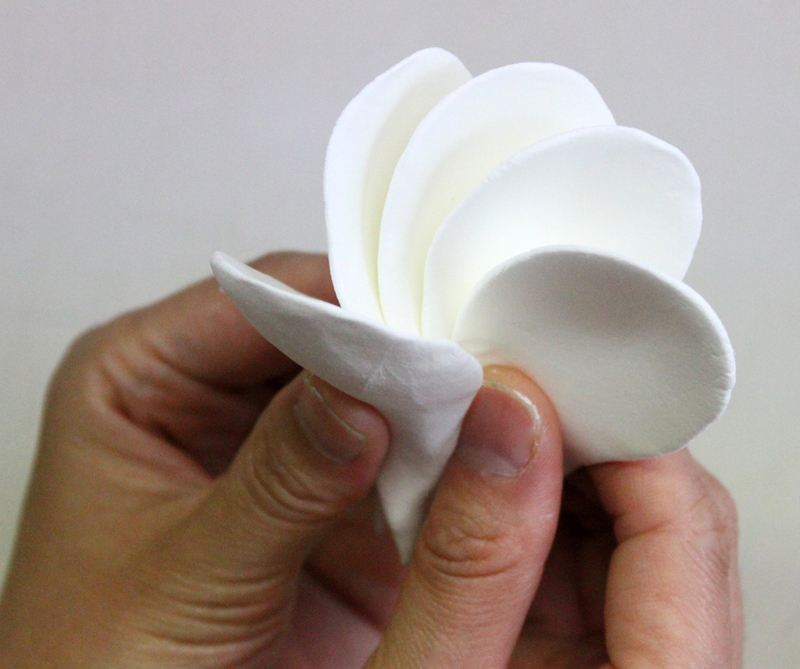 Bring the left end of the petal to the center of the flower to form plumeria. Hold at the base of the flower and adjust the petals. 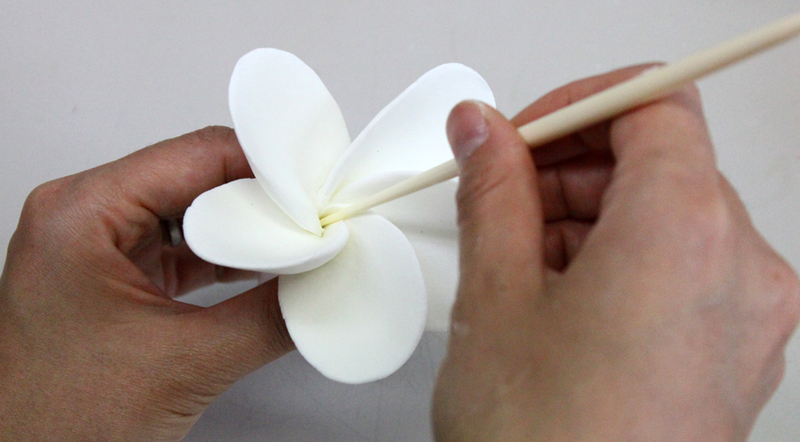 Use Detail Stick to secure the center of the plumeria. 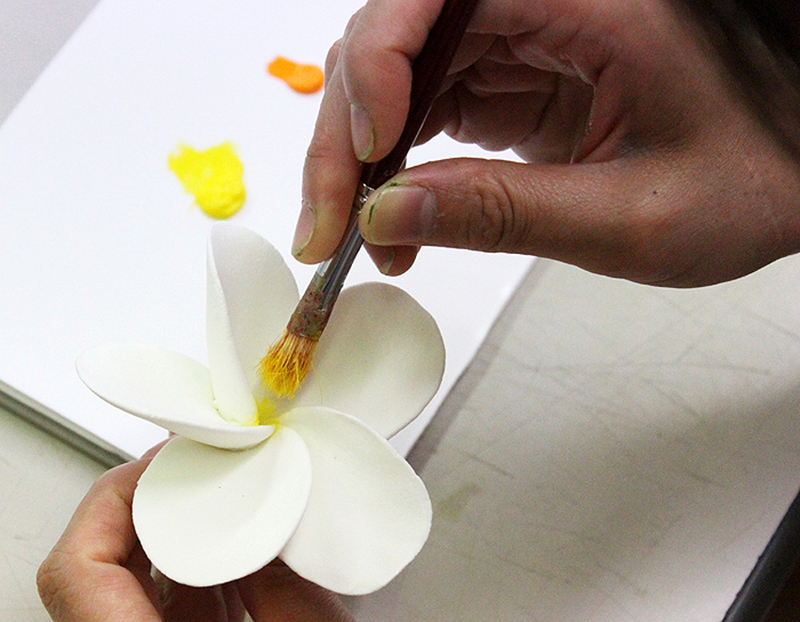 When it is dry, use yellow and yellowish orange and paint on the center of the plumeria. Brush paint outwards to create blended effect seen on the first image. Cut #18 Hadaka (bare) wire in half and use green clay to make a stem. 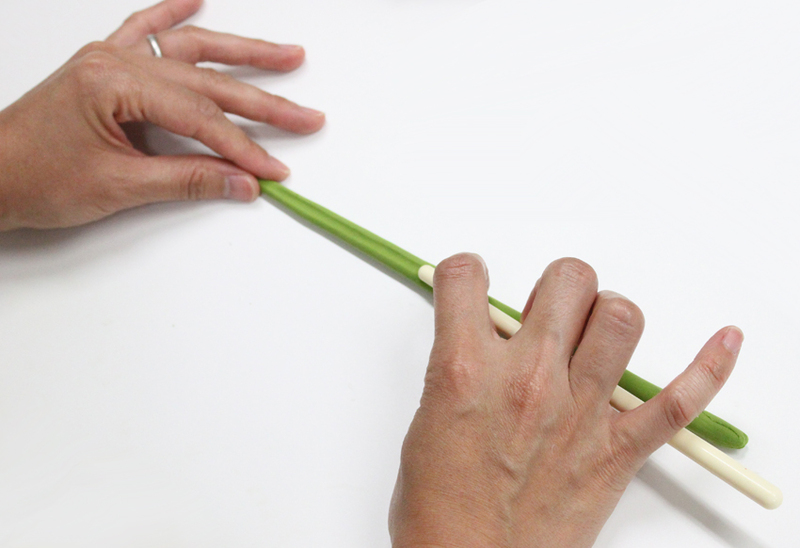 Draw two lines with DECO Detail Stick while the clay is soft. Remove the clay on one end of the wire and let it dry. 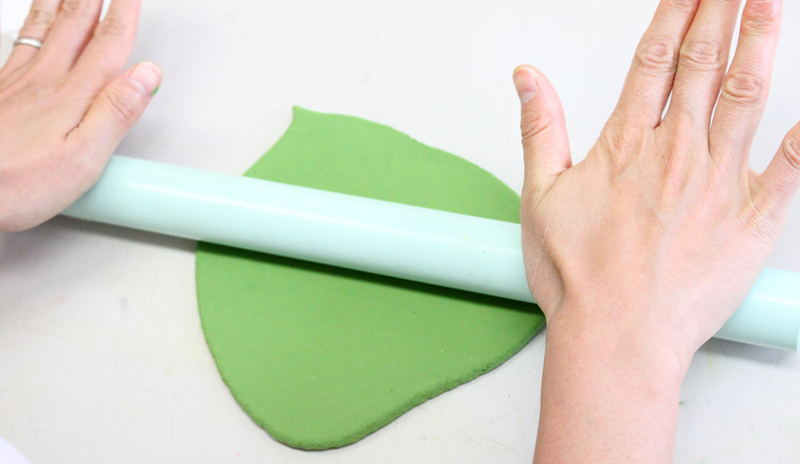 Use same green clay and roll out to a 2mm (1/12”) thickness. 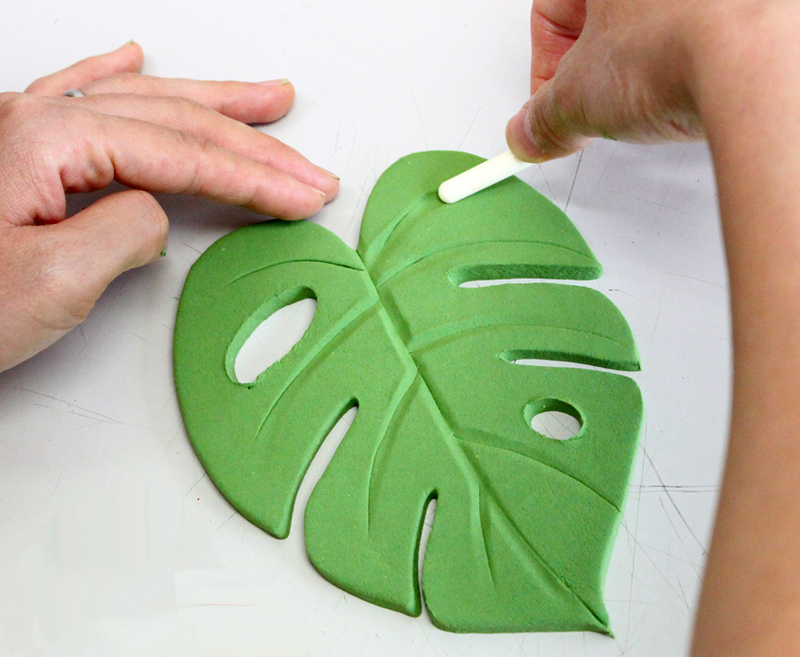 Use monstera leaf pattern and cut it out using needle tool. 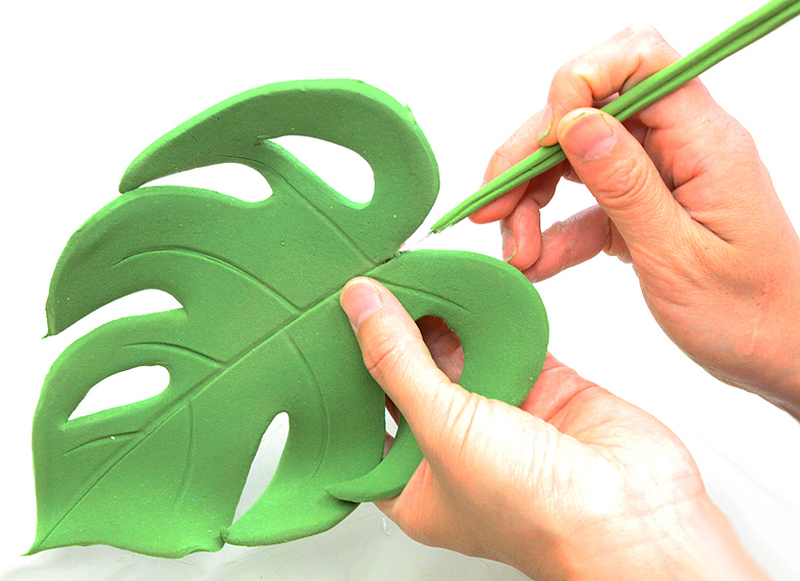 Use DECO Detail Stick or needle tool to draw veins on the leaf. 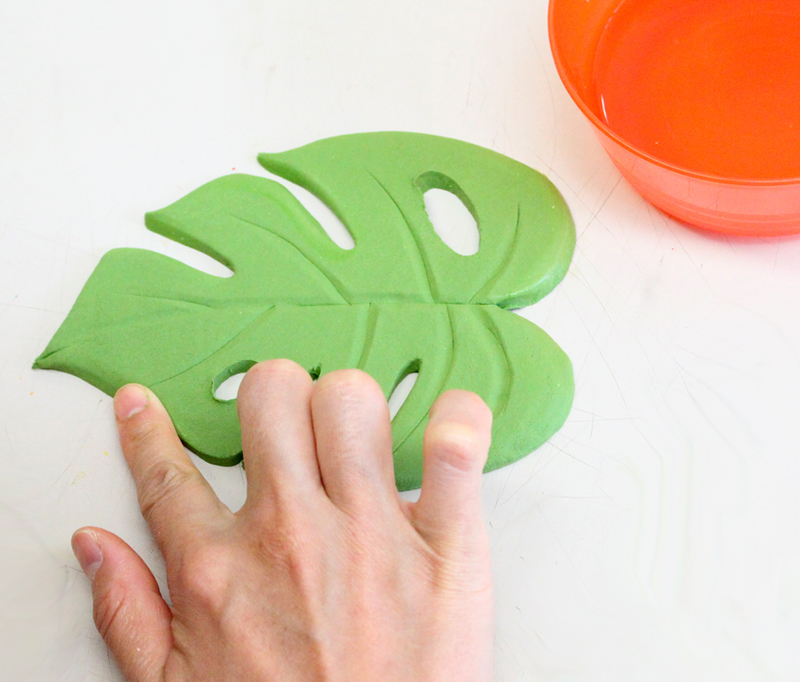 Use drops of water to smooth any sharp edges. 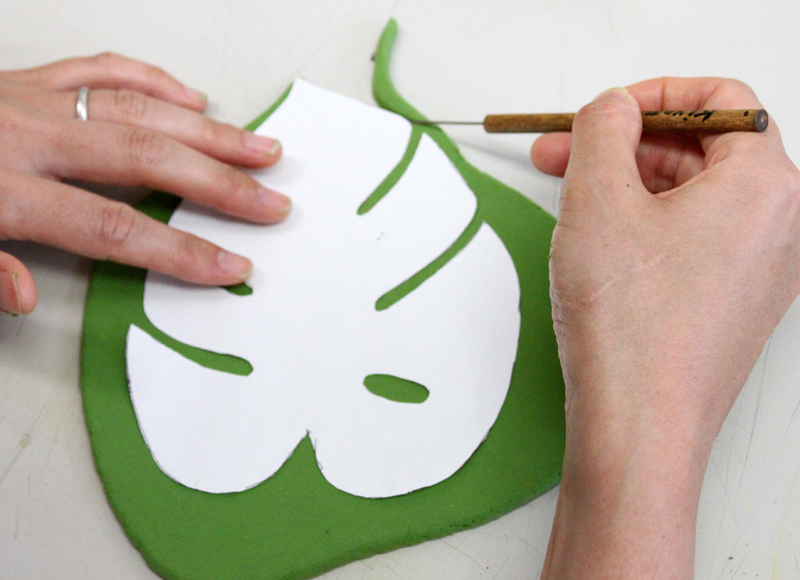 Once the leaf and stem are dry, add glue on the wire and stick the stem to the leaf. Paint then finish with DECO gloss. 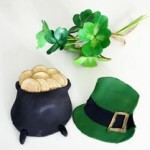 Make lots of plumeria and monstera leaves and have fun decorating! 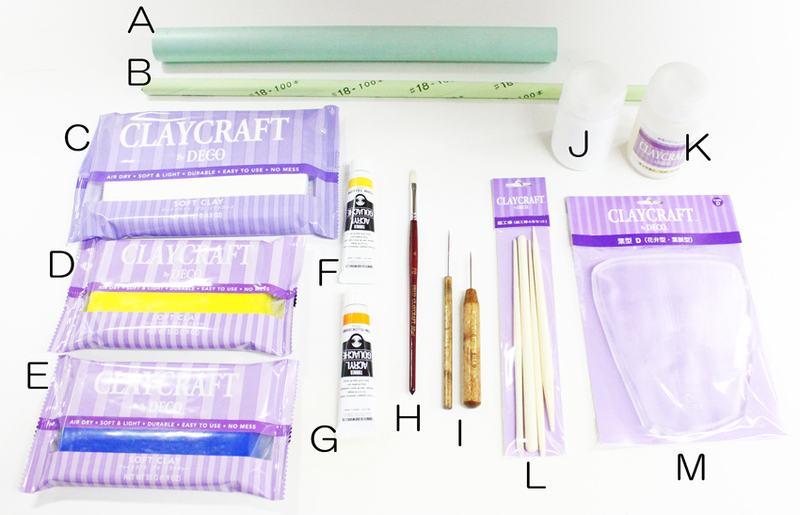 how to get this clay. I live in Pakistan. 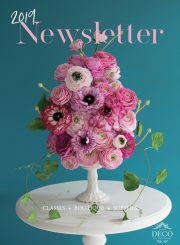 I am very interested in taking Flowers course I at the decor clay craft academy,Japan. Could you please tell me about the procedure. Its great to hear you interest in taking DECO classes! 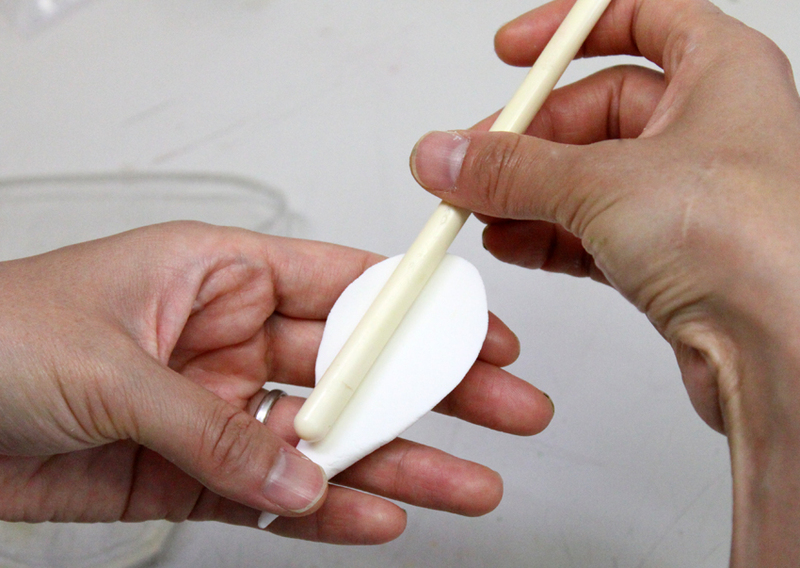 For more information on classes in Japan, please feel free to contact our Japan head office at info@decoclay.co.jp for a list of certified DECO Instructors within the country. I loved your craft. 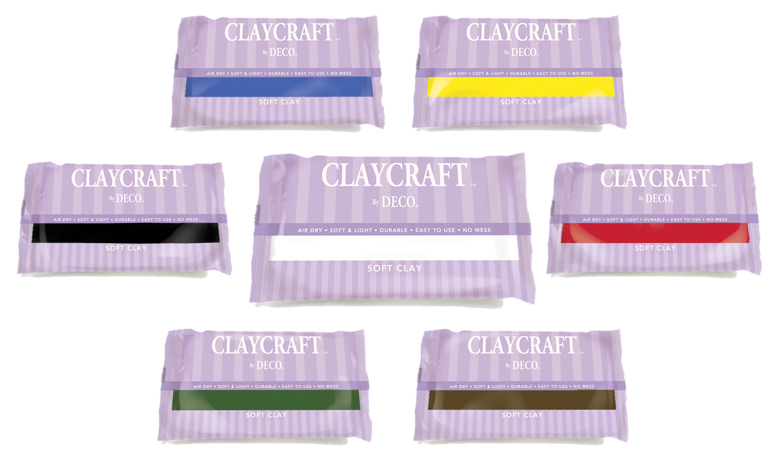 I also make clay products but I work with paper mache, can you tell me an easy diy process to make air dry modelling clay.